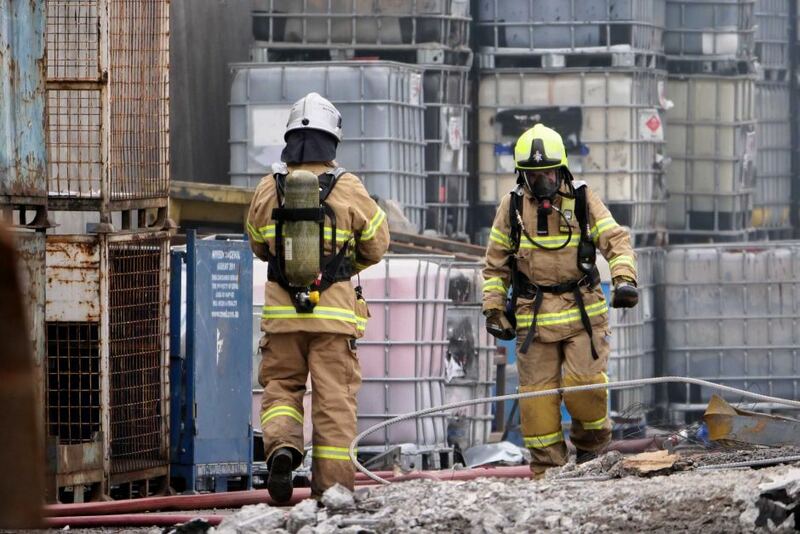 It has been revealed that a large fire at a Melbourne industrial complex broke out in a building belonging to a company that had it’s license to accept waste suspended on March 15 – after an inspection found it had 400,000 litres of hazardous materials on site. Victoria’s Environment Protection Authority (EPA) said that after inspecting the premises following the MFB clearing it for safety, revealed about 300,000 litres of materials remained at the property. Its licence only permitted it to store 150,000 litres on the site. It took more than 175 firefighters working through the night of April 6 to extinguish the blaze. They required an excavator and heat detection devices to identify, access and extinguish hotspots in the facility, where hazardous waste was being stored. The secretary of the Australian Workers’ Union (AWU), Ben Davissaid staff at the site believed the EPA wasn’t acting swiftly enough to remove hazardous waste and that conditions were unsafe. Mr Davis told ABC Radio Melbourne there had not been enough pressure on the company to reduce its backlog of hazardous materials. “They [Bradbury Industrial Services] were told not to accept any more material, but they weren’t actually being told to remove that which was there and that’s the problem,” he said. Mr Davis said workers had expressed concerns to the union and WorkSafe that the materials weren’t being cleared fast enough. “In the past six or eight weeks, we’ve been there several times … when we first detected the excess storage of their licensed material, that was in mid to late March,” he said. He said within days of discovering the company was storing hazardous materials in violation of its license, action was taken. An EPA investigation launched after last years’ West Footscray factory fire which bears some similarities to the Bradbury fire, has identified “an alleged criminal operation” across a dozen outer-suburban Melbourne sites where large amounts of hazardous chemicals are being stored, in most instances without a licence. Local residents were urged to stay indoors and several schools were closed due to the hazard posed by the thick black smoke from the blaze. Fire crews remained at the site for several days afterwards.